Even chocolate. 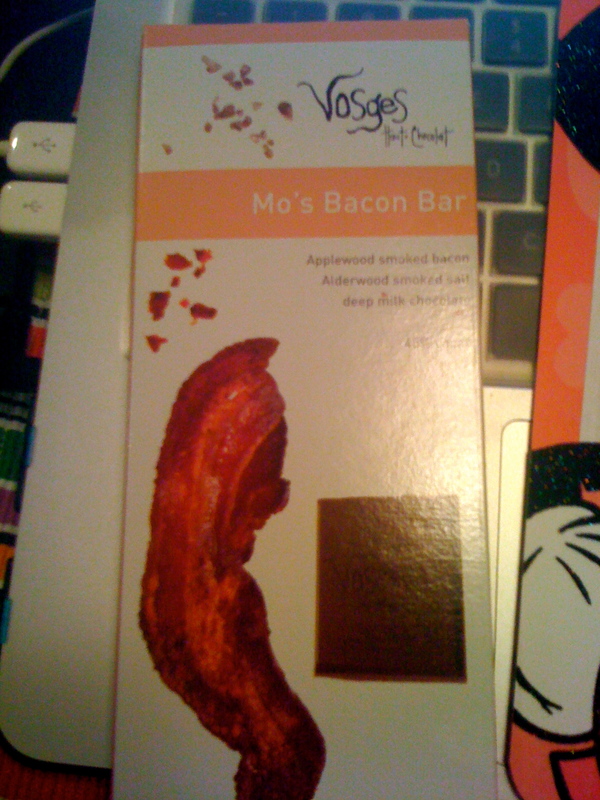 CSP’s mom gave us a Mo’s Bacon Bar as a Valentine’s Day treat. I’ve been wanting to try one forever. CSP was skeered but I tried it and it was so yummy! And I’m not a major chocolate person so that ought to tell you something. It is a great combo of sweet and savory. A very fun treat!